The workshop is open for all EGIDA project members, members of the EGIDA Advisory Board, members of the EGIDA Stakeholder network, the STC members, and, in general, stakeholders in S&T of GEOSS. 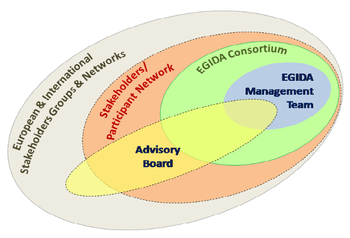 All members of the EGIDA Advisory Board and Stakeholder Network are in particular invited to participate. Due to available room capacity, participation is limited to 80 persons. The organizers therefore reserve the right to close registration when this number is reached.